This week I had Wednesday off so what better way to spend a day off when it’s snowing and cold outside than to whack the oven on and get down to some baking. If I’m truthfully honest I quite fancied a lie in but when you want one it doesn’t happen so I woke up the same time I would for work and thought I might as well bake some bread. The recipe is taken from Paul Hollywood’s ‘How to Bake’ a book I bought for my boyfriend for Christmas but took back as I liked it to much! Baking is something I absolutely love doing, however I never get round to doing enough of. This is possibly due to the fact that I end up eating the majority of what I produce which isn’t good for the waistline! However with the New Year ahead and with the weekend being quite a chilled one I thought it was about time to start baking again. 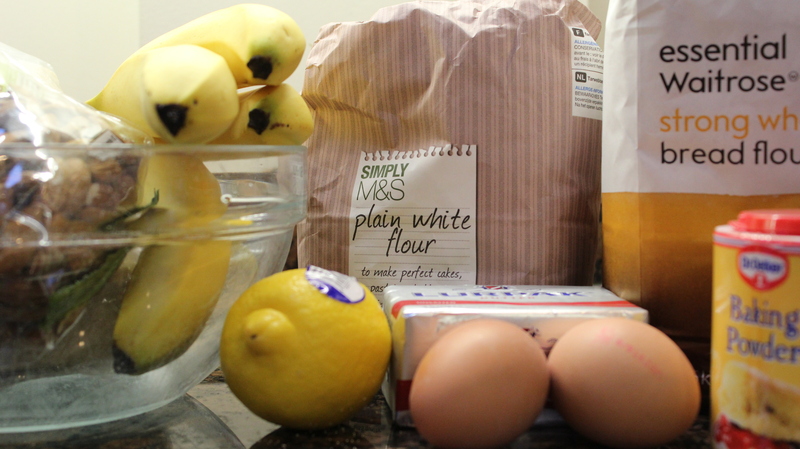 To kick off my baking, I’m starting with a family favourite and that is Banana Bread. 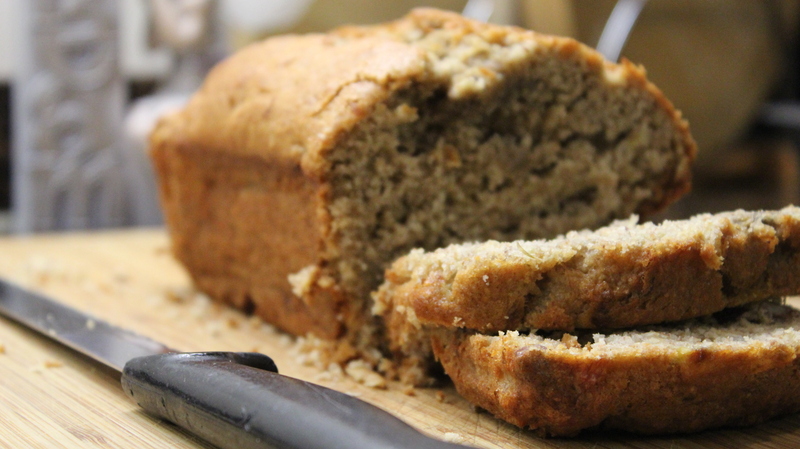 There are so many ways to make banana bread and lots of different ingredients you can add to it such as chocolate, nuts or cinnamon. However as I didn’t have the time to get to the shops I thought I’d go with the basic banana bread as it needs hardly any ingredients at all! 1. Heat the oven to 180C/fan 170C/gas 4. 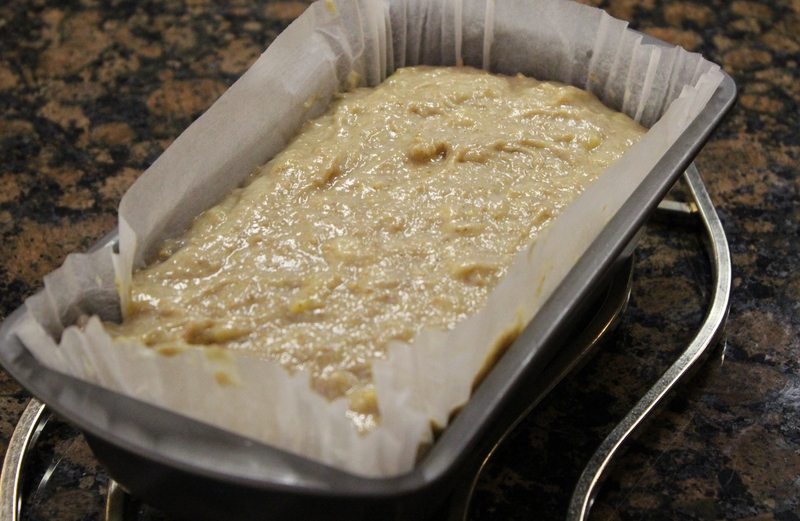 Line a 450g loaf tin with some butter or butter a parchment case if you have one to line the tin. 2. 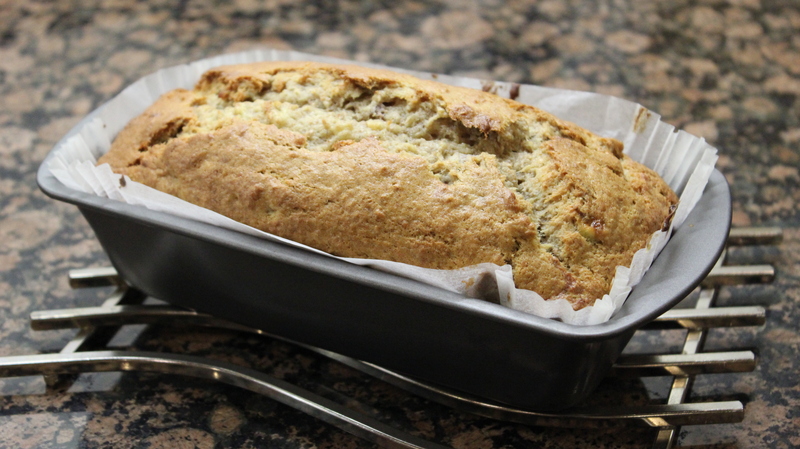 Beat the butter, sugar, flours, baking powder, eggs and banana together. 3. 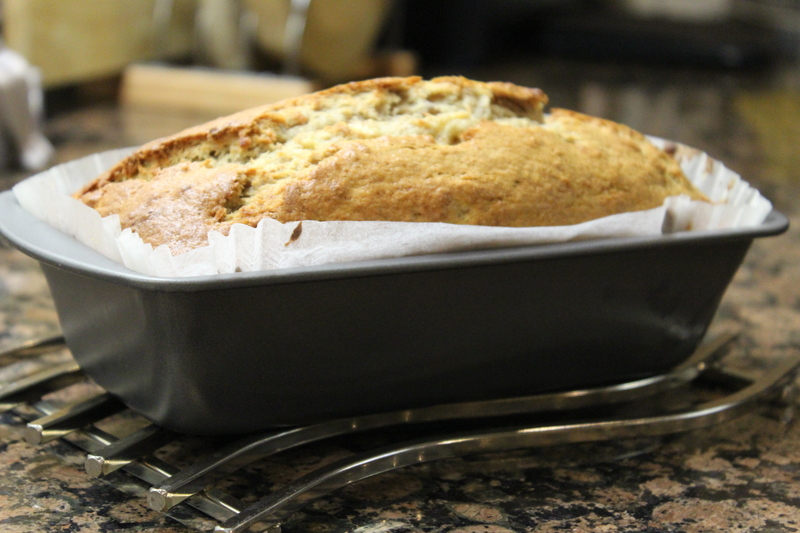 Stir in the nuts and spoon into a lined and buttered 450g loaf tin. 4. Bake for 50 minutes or until a skewer comes out clean. It’s super easy and if you don’t have pecans you can use wlanuts or leave it out altogether although it does give a nice extra crunch. If the sponge is soft and boucy under your touch, you’ll know it’s a good bake. Mine was slightly crumbly which means it might’ve needed a little longer in the oven, but the taste was delcious and the texture soft so it entirely depends on how you like it. Overall a lovely way to spend the afternoon. Preparation only takes 10 to fifteen minutes and then it’s left in the oven. It went in no time at all and was lovely especially with a good cup of tea.